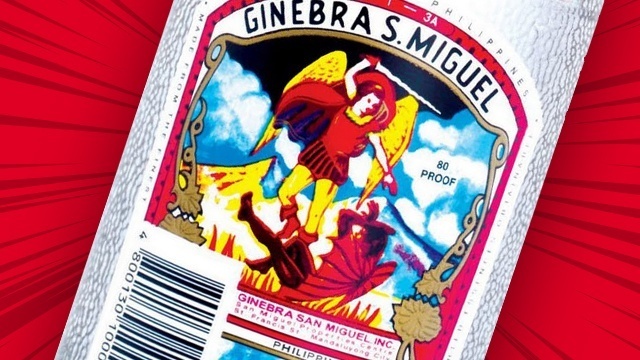 Ginebra San Miguel, the country’s biggest gin maker, finally made money last year after five straight years of losses. It reported a net income of Php361 million in 2016 compared to a loss of Php386 million the previous year. It’s the first time since 2011 that the company, an affiliate of diversified conglomerate San Miguel Corp., was in the black. The last time Ginebra reported profits was in 2010 when it made Php914 million. 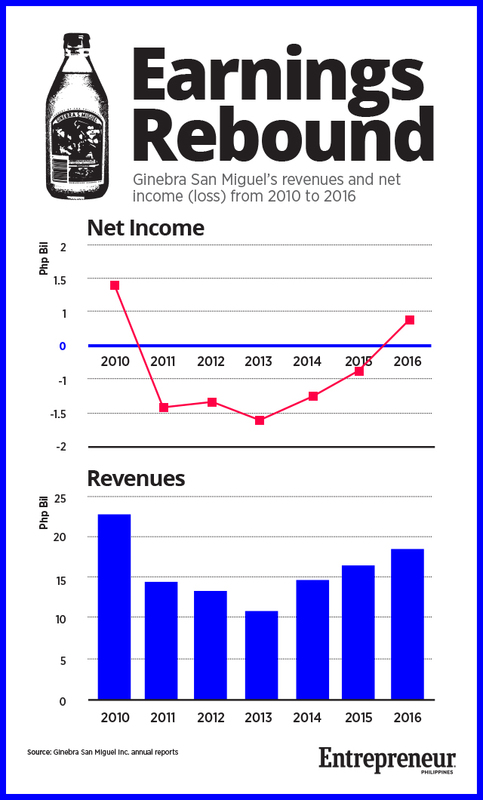 Ginebra’s financial turnaround last year may provide some measure of consolation for the company that recently lost the 2017 PBA Philippine Cup to sister company San Miguel Brewery after just five games in what was supposed to be a seven-round championship series. At the very least, it could mean there’s more resources that could be allocated to Barangay Ginebra Kings, the company’s professional basketball team. Many of the country’s liquor companies suffered declining sales after the government imposed higher excise taxes on alcoholic beverages in 2013. Ginebra’s favorable financial performance last year could be a sign the worst is over for the country’s first and oldest gin brand, which has been around since 1834. Ginebra San Miguel has been making a determined push to promote its products among the Millennials and young professionals. In December 2015, Ginebra launched the Ginebra San Miguel Gin On The Go at the Mercato Centrale, Bonifacio Global City in Taguig, promoting its staple gin brand and other variant products in making cocktail drinks. “Ginebra San Miguel Gin On The Go offers gin drinkers a new and refreshing way to enjoy Ginebra San Miguel, G.S.M. Blue, G.S.M. Blue Flavors and Ginebra San Miguel Premium Gin,” the gin maker said in a statement. Likewise, Ginebra also tapped Arci Muñoz and Ian Veneracion as its endorsers last year. The 28-year-old actress was chosen as the brand ambassador and 2016 calendar girl, while the dramatic actor endorsed the liquor brand Primera Light Brandy.